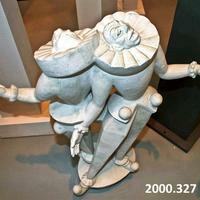 Plaster model of two clowns back to back , off center joined at shoulder. They appear to be singing. This is the model for Clown Musicians.